Let’s call it spring cleaning, if you will. Kyoto-based singer/songwriter There Is A Fox’s album After Image has been out for a whole month now, but today feels like the right day to write about it, with the weather feeling warm and pleasant (and, uhhhh, I remembered I made a note to write about it…but didn’t see until today. Nice.). 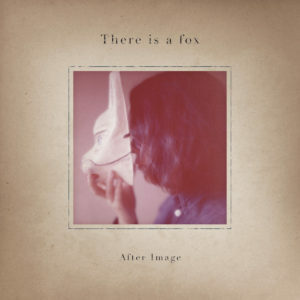 After Image offers intimate and sparse numbers guided by acoustic guitar, the key element being There Is A Fox’s vocals, soft and at-times near-whispered, which add a sweetness to numbers such as “Sun Shower” and “Good Bye.” Critical to the album, however, is its pacing. Between this folk numbers are instrumentals that add in other elements — music boxes on the aching “Day Break,” a slight electronic fuzz on “After Image 1” and “After Image 2” — that keep things compelling. Perfect for a warm day. Get it here, or listen below.